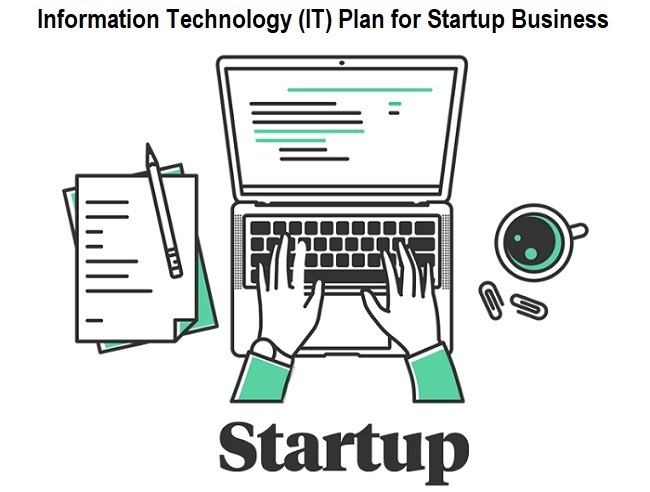 Startup Business Guide: Why Business IT Plan is Important for Startups? You check it with all successful entrepreneurs, and they would agree to the fact that it's a well prepared and executed plan which led to their success. An ideal business plan will clearly outline the mission of the firm along with its vision, goals, key objectives, and the steps towards success. However, still, there are only a few businesses business plans which have a specific information technology plan. It is true that most of the hi-tech startups indulge in in-depth discussions and considerations on technology which they adopt, but when comes to the design and implementation of the technological infrastructure, most of them are not competently considering it. Why is an information technology (IT) plan important? Companies which tend to compete in the changing technology environment should be able to differentiate themselves by leveraging the benefits of upcoming technologies to streamline the business processes. Businesses are now largely engaging in process automation, digital marketing, and utilizing various communication channel to reach to the global workforce as well as customer base. Considering all these, it is essential that even the non-IT start-ups should maintain a well-aligned IT plan and clear-cut objectives. One thing CEOs of the startups painfully realized as the company grows is that the existing system, which was given only minimal importance to choose at the initial phase, is coming incompetent to meet up with the increasing demands. The more such systems become compromised, the more difficult the administration becomes. It is also much time consuming and heavy on a budget to change to a new system at this advanced stage. So, adding a clear-cut IT blueprint to the business plan will let your budget and plan the implementation of technology infrastructure in a more appropriate way as well as ensure interoperability of various systems. Such a plan with the scope of upgrading will also help you to scale up effectively or down the IT technology infrastructure also based on your needs and budget. An IT plan will also serve as a reference to identify the CIO and appropriate IT staff with necessary skill-set. On the long run, such a plan will serve as a clear operational directive. When the new business administrators are trying to develop some analytics stacks of data, they start with some known patterns. Sometimes, these are welcoming practices, but some others are not that effective. There are many ways in which organizations misuse the data, which not only end up in losing opportunities but also can have some adverse impact on management. For an analyst who is setting up data and analytics for an organization, there are a lot of fertile sources of data models and schemes to follow. There are many mistakes or adverse patterns followed in many resource-constrained organizations. So, as RemoteDBA experts suggest, it is important for the organizations to note that a lot of such available patterns are ideas at a later stage, but at the very early stage, they are just barely posted product-market fit and are less awesome. Let's explore some of the adverse sources of database mismanagement and adverse analytics at the early stage. In case of test account or admin account, there are various data programs and orders which come through feline telepathy, and there are many companies which include something that requires some transactional events which may be ignored amongst common bulk queries. If this is what happens, then you've introduced some tax on analytics query writing. This may often get balanced against the transactional efficiency of the applications and also the developer productivity. This tax may be worth sometimes, but many other times it isn't. For larger companies, the transactional efficiency may be an important goal for which they may be able to spare a couple of dedicated engineers or analysts for data cleanup. However, if you are a small start-up, then you may not be able to place the trade-off properly. For any business, there could be a sizeable fraction of key questions around user psychology, customer satisfaction, and the value of the business revolving around the session metrics. These may be called as "sessions," "support contacts," "conversations," or otherwise may also be referred to a series of discrete events mapped to a user which could be grouped to consider as a single concept. However, in any case, this is so common in the basic concepts of business. This is reconstructed post hoc that may typically result in pain and fragility. The primary definition of a session which will typically change as the nature of an app changes. Adding to it, there would typically be a lot of contexts also around the user session on the server. So, it is easier to assign a support ticket or conversation ID in the app, which can be used to reconstruct it. The semi-structured data, for example, fields with coded JSON, may be useful in such situations where different structures are present over time. As the databases grow larger, one can effectively avoid this hassle of migrating the large tables under a heavy write or read load. If not handled properly, it can create a lot of heartburn on trying to get the data out from the database. Semi-structured data may have schemas which are conventionally enforced, which may change unpredictably and sometimes may be off due to some transient bugs, and in many other situations may require intensive post-hoc cleaning to make use of it. Adding to it, sometimes the semi-structured data fields may be considered as an excuse not to structure it properly until someone has written a specific feature. In such a case, one has structured data in hand, but it’s un-enforced and prone to bugs. This will end up as a pain for the users. In general, you have to look for database models which help reduce the pain across all the distinct uses of it. For this, it is ideal for getting the assistance of a reliable database administration and consulting service, which knows your customized needs and priorities as a start-up business and provides you with the best DBA solutions.